According to the study made by Lighting Research Center, LED light bulbs work by bringing together currents with a positive and negative charge to create energy released in the form of light. The result of this is a fast source of light that is reliable and instantaneous. 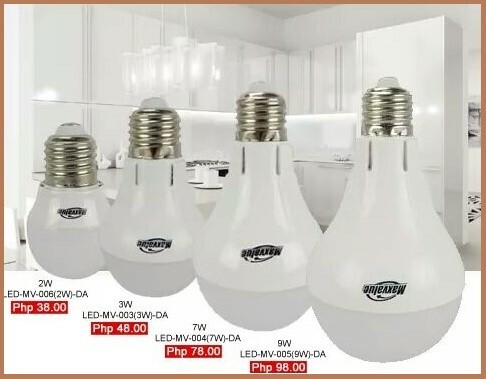 LED bulbs also fits an ordinary socket without the need of an adaptor and it bright up as soon as you switch it on. LED bulbs is considered good for the environment and are endorsed by green movements. LED bulbs generally cost more to buy although manufacturing technologies are lowering these prices as we move along. Moreover, if you care for the environment, Lower energy consumption decreases carbon dioxide emissions, sulfur oxide, and high-level nuclear waste. CD-R Kings makes it easier for you to decide CD-R King, your one-stop media provider gives you the ease of choosing by taking away the drawback of price difference by making LED bulb available to the General public at a more affordable price.This is effort compliments their advocacy in encouraging people to care for the environment during their California e-bike campaign early this year.